Sesame originated in India and is one of the oldest spices known, since the Harappa civilization. Sesame seeds are small, flat, oval, unhulled, seeds that are creamy white, brown or black. Sesame has a nutty, sweet aroma with a rich milk like buttery taste. After roasting or toasting the white seeds become golden coloured and aquire a delicate almond-like flavour. 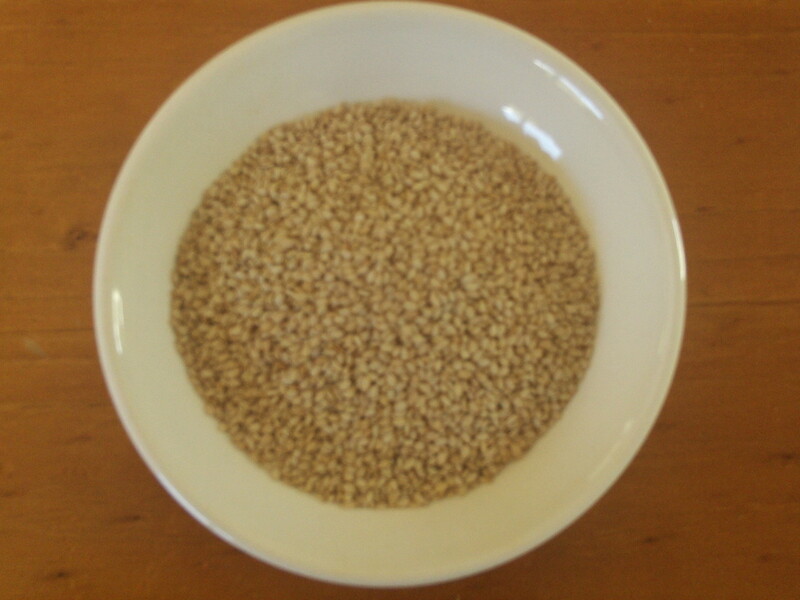 Sesame has antioxident properties due to sesamol. Sesame is used to flavour a wide varity of foods. It is used if dips, sauces, breads, cakes, ands sweets. In Asia, sesame is thought to have magical powers and bring good luck. It was traditionally used as a laxative to relieve constipation and hemorrhoids.